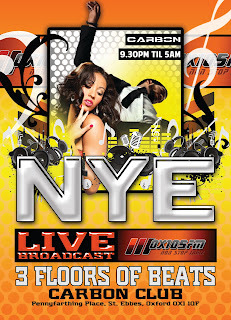 OX105FM is staging the mother of all New Year's Eve parties live from Carbon in Oxford this year. 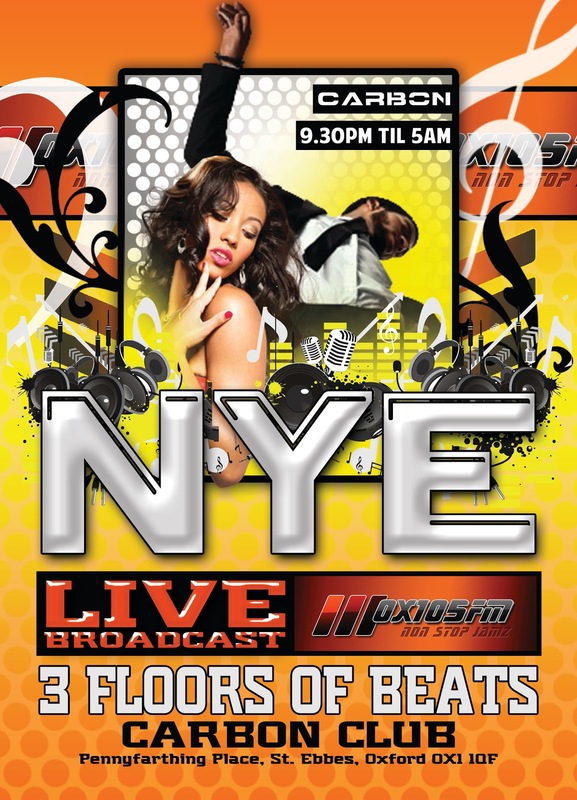 All the station's DJs will be spinning tunes across three rooms encompassing soulful house, garage, hip-hop, R&B, dubstep, D&B, slow jams and bashment, and the whole thing's to be broadcast from 11pm through to 5am New Year's Day. I'm on the set for the 4-5am hour!